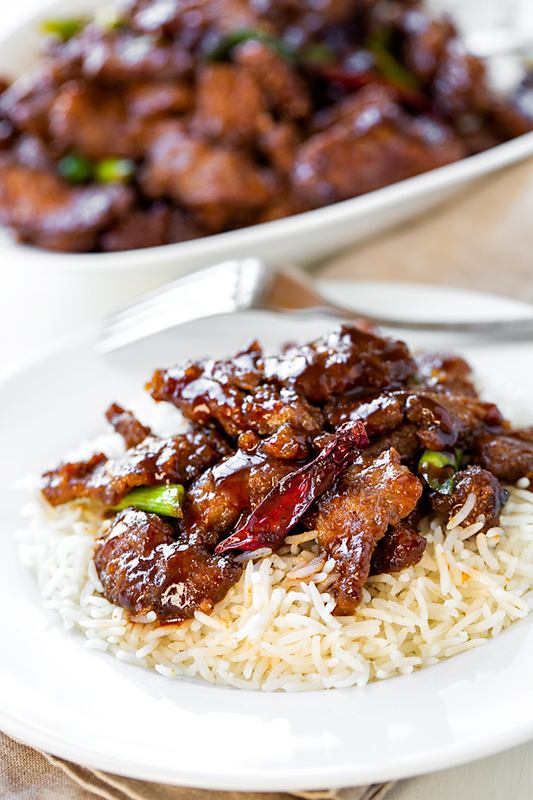 The next time you’re craving Mongolian beef in that savory-sweet and glossy sauce, skip the trip to the restaurant and make this popular dish in the comfort of your own kitchen—this version is super easy, and healthier, too! The Search for Mongolian Beef Leads Me… Home? Often times when my husband and I get a hankering for a little meal out but can’t quite get our cravings aligned, we can pretty much always settle on our favorite little Asian restaurant about fifteen minutes from home. It isn’t a fancy place at all, and some would argue that it’s not necessarily even all that authentic, but that’s alright with us. The food is always hot, delicious and flavorful, the service super friendly, and we’ve yet to encounter a time we haven’t enjoyed ourselves when we go. This place has a extensive menu, and I must say I love to sample something different as often as I can. And for years I’d been wanting to try Mongolian beef, a dish that a lot of big-name Asian restaurant chains usually offer. But I discovered that our favorite place actually didn’t have that on their menu! 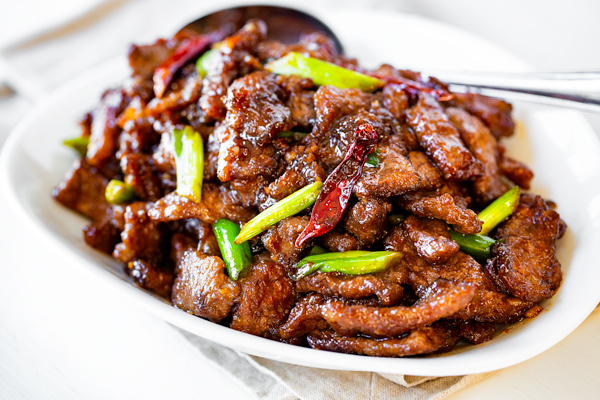 So of course that meant that I would have to put my own Mongolian beef recipe together (after doing a little research), so that I could finally enjoy this popular restaurant entree, and see for myself why folks love it so much! Mongolian Beef, Made from Scratch! I find that when I crave Asian food, I’m either looking for something light, fresh and healthy; or something more indulgent, like a crispy, saucy and flavorful meat dish, served over a bed of rice or noodles. And Mongolian beef is definitely a great representation of the latter. 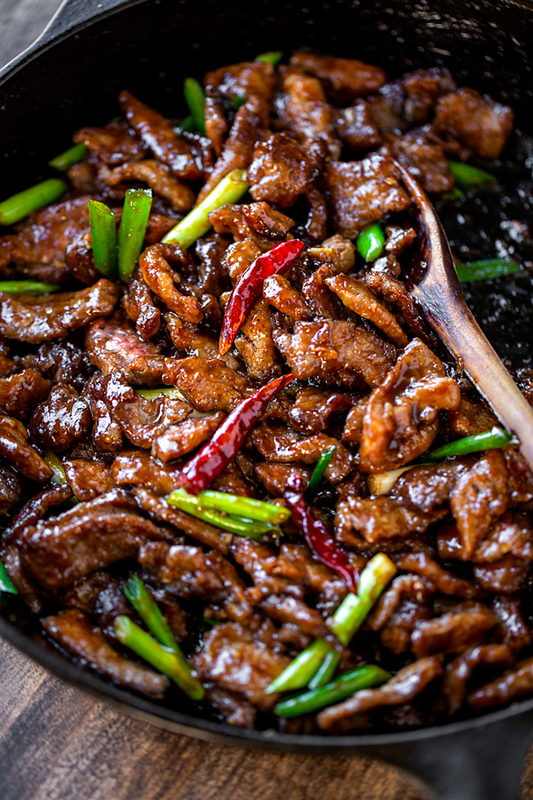 So what is Mongolian Beef, and what makes it so popular? This particular dish has everything we love about Chinese-American cuisine; and when done just right, it’s perfectly sweet and savory, slightly spicy and loaded with lots delicious aromatics such as ginger, garlic, green onions and even a few dried red chilis, all combined to bring a nice pop of deep, fragrant flavor. For my Mongolian beef recipe, I found that using flank steak is indeed the best option; because it’s tender and sears up quickly in a hot cast-iron skillet, the next best thing when one doesn’t have a wok. And then to give this dish its signature flavorful glossiness, I prepared a simple sauce with a bit of soy, hoisin, and brown sugar to drizzle over top as a finisher. 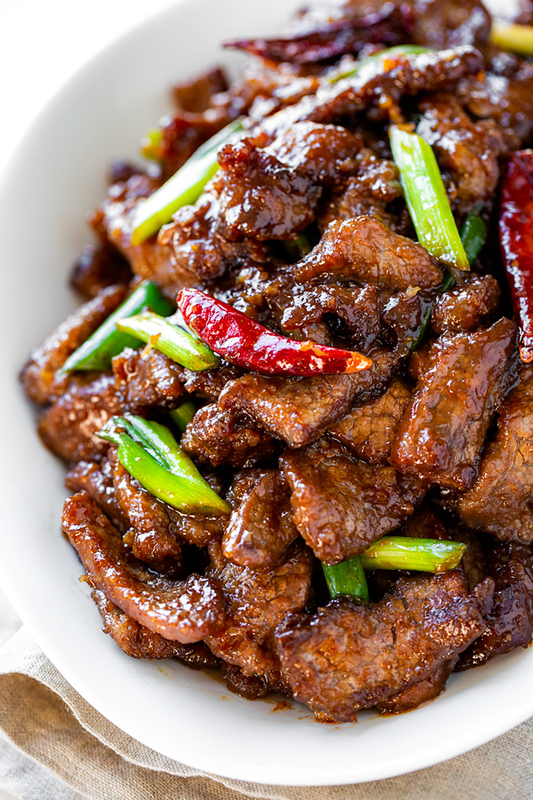 It turns out that Mongolian beef is a tasty meal that one doesn’t really need to visit an Asian restaurant to enjoy, because it’s actually quite quick and easy to prepare at home, which is still the best place to enjoy a spectacular meal! Choose your spiciness level: Because the dried red chilis are left whole, they don’t add a huge amount of heat to the dish unless you bite directly into them; but feel free to leave these out if cooking for folks with a sensitive palate. Get that pan super hot: Because you don’t want to make the beef tough, make sure the skillet is very, very hot; this way, when you add in a batch of the steak, it can begin to caramelize quickly and you can remove it from the pan. Don’t overcrowd the pan: Work in smaller batches with the beef so as to not overcrowd the pan and cause the meat to steam, robbing it of that crispiness. 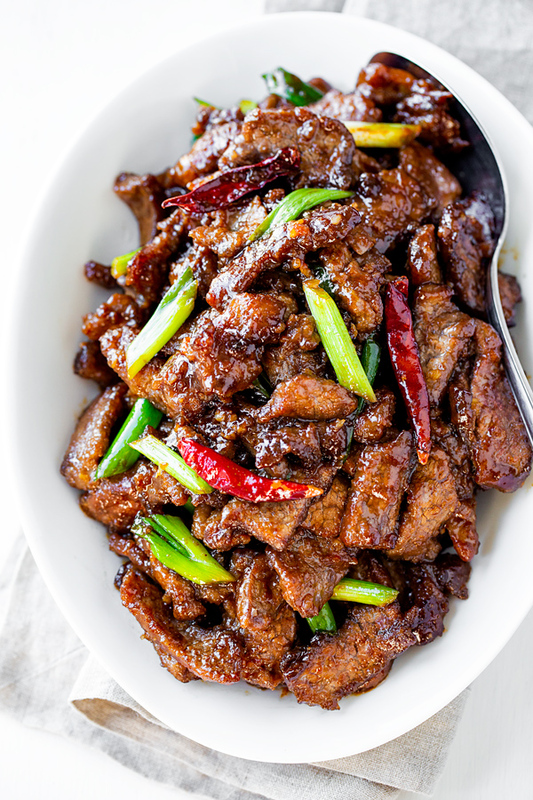 Perfectly sweet and savory, this Mongolian beef is generous on the flavor, and cooks up quickly for a delicious better-than-restaurant quality meal at home! 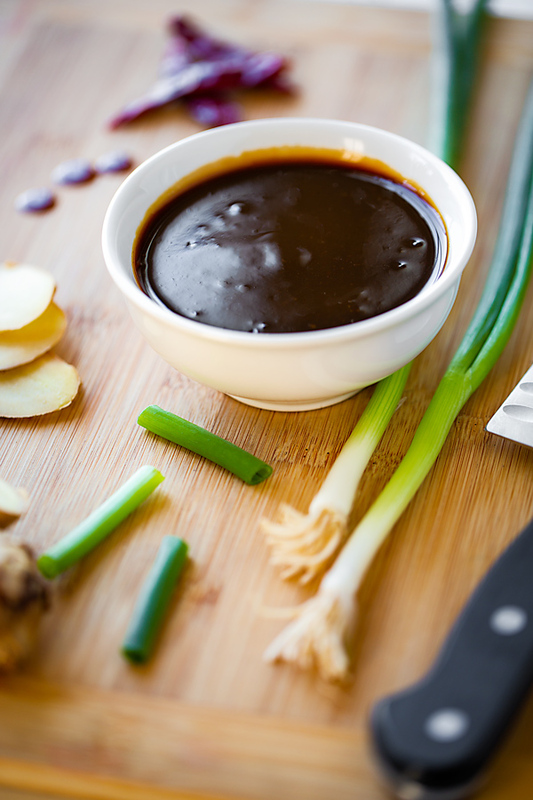 –To prepare your sauce, whisk together the hoisin sauce, the soy sauce, the brown sugar and the water; set aside. 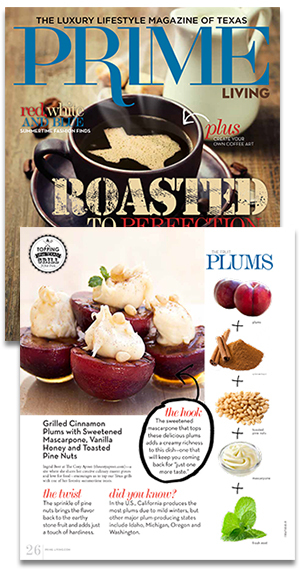 –Toss the sliced flank steak with a couple of pinches of salt and black pepper, plus the the cornstarch; set aside while you heat your pan. –Place a wok, cast-iron skillet or other heavy-bottom pan over high heat, and drizzle in about 4 tablespoon of the oil; once smoking hot, add in some of the flank steak (working in batches) in an even layer and sear, undisturbed, on that first side for a couple of minutes; flip and sear on the other side, until the steak has a brown crust; remove and hold on a large plate, and repeat with the rest of the steak. –Reduce the heat under the pan to medium-low now (as it will be very hot), and add about 2 tablespoons more of the oil; then, add in the dried red chilis and stir to fry those up for about 30 seconds; then, add in the ginger and the garlic, and stir together for about 30 seconds until aromatic. –Add in the beef and stir to coat it in the mixture for about 30 seconds, then add in sliced green onions, and the sauce, and toss everything together to coat and become hot for about 30 seconds more. –Serve family style over a bed of white rice, or spoon onto a platter and serve separately with rice or noodles. Hi Puja, thank you! I think this recipe would be really delicious substituting chicken, and I, personally, would even add some peanuts in that case. I hope you enjoy, and happy cooking to you! Okay…. I just made this… I have never made anything better in my life, and I’m a pretty good cook. My whole family thanks you for this recipe!! Hey Shannon, how awesome! I’m thrilled the whole family enjoyed it! High-five for a job well done, and thank you so much for taking a moment to share your results with me. Puja, so glad you came back to share! When the husband and son are happy, then I know momma is happy, too. 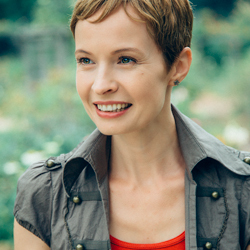 Job well done on adapting this recipe to your personal needs—I’m thrilled it was a hit for you! Happy cooking! And yes! You can easily double or 1 1/2 x this recipe next time for extra or to have leftovers. Hi, I just made this recipe and it was very yummy as everyone else has said, but I was wondering if you could give me any advice about the heat level when cooking the beef. I thought that I had it just right because the oil had just started to smoke, but when I added the beef in it started spattering everywhere– so much so that my electric burner actually caught on fire and I had to get the pan off the range and turn everything down. However, after I put the pan back on lower heat it seemed to be taking a bit too long to cook. Do you have any general advice about how to keep the oil from spattering/how to know when the range is just right? Sorry for the novice question, but I really enjoyed the taste of this and would like to make it again without the fire. I’m not sure what to advise exactly, as cooking food that requires high heat like this on an electric burner is a bit tricky. Fire (gas range) is always preferred, just because you can manage the heat a little easier, and make adjustments quicker. The only thing I can think to offer is to perhaps try using a touch less oil next time. You need the high heat, and of course some oil, but if there’s too much oil (or moisture) spatter can happen. Maybe if there’s less, then there won’t be as much spatter. The other thing is to make sure that the meat is dry. If you pat it very dry before tossing in cornstarch then it that helps too. I hope your next experience with the electric burner will a better one! Very easy and quick to fix delicious Mangolian style meat dishes I had it over warm steamed Jasmine rice. Thanks for this recipe. If you are cooking with chicken, make it browner and top it with wala wala fried onions and green spring onions. I added a pinch of garlic chili sauce to spice it up a bit. Enjoy!! Hi Sarah, glad you enjoyed! Thanks for sharing. I love it! Roomates love it! No more panda express for me!! Yes to “no more Panda Express”! Thanks so much for sharing.